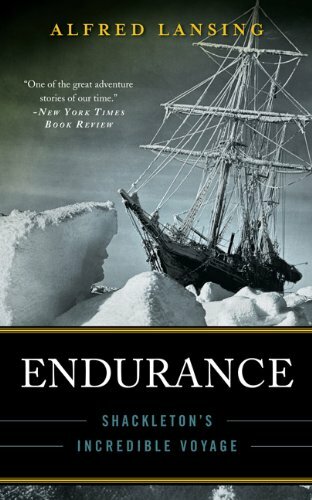 The astonishing saga of polar explorer Ernest Shackleton’s survival for over a year on the ice-bound Antarctic seas, as Time magazine put it, “defined heroism.” Alfred Lansing’s scrupulously researched and brilliantly narrated book — with over 200,000 copies sold — has long been acknowledged as the definitive account of the Endurance’s fateful trip. To write their authoritative story, Lansing consulted with ten of the surviving members and gained access to diaries and personal accounts by eight others. The resulting book has all the immediacy of a first-hand account, expanded with maps and illustrations especially for this edition.